The last two months passed me by so quickly! I had a couple of big events and it’s only now that I have time to just kick back, relax, and reflect. At the beginning of this year I never expected to have so many talks but I found myself in front of a variety of people: bishops and priests, educators, PR practitioners, and even to Pastors (I’ll talk about this in another entry). 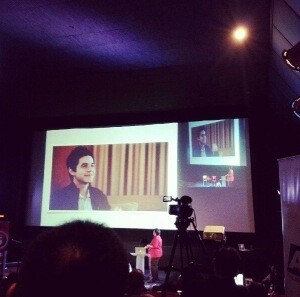 One of the highlights though was that I was able to give a 30-minute talk during the 2012 IMMAP Summit in Powerplant, Rockwell. It was a very special engagement for me for several reasons. We got to introduce Kristn! 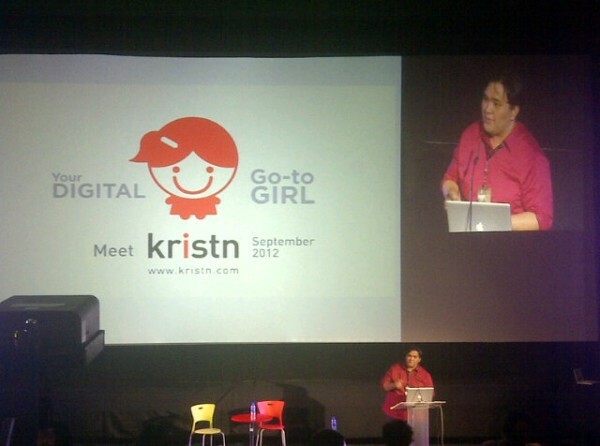 First, it was the “soft launch” of Kristn, a project that we’ve been working on tirelessly for the last few months at TV5. It was an amazing feeling going up the stage and slowly building up to the reveal of Kristn at the end. We only showed a teaser video and I’m really excited to actually share the product to the public later this month. To those who are curious and want a preview you can sign-up at our Closed Beta Page here. We’re sending out test accounts to people everyday starting Monday this week. It was also a very humbling experience to talk about the project since the credit really should be with the team. The editorial, design, and development team working on Kristn are amazing people and I wish I had the opportunity to just make them go up on stage and take a bow but maybe we can do that for the actual launch instead, hehe. Second, I have profound respect for digital marketing as a craft and the IMMAP Summit is the biggest local conference/gathering of digital marketing professionals. I consider it a huge honor and privilege to be given a chance to go up the stage and address the audience. I was actually very nervous leading up to the event and I think it showed during my presentation, hehe. 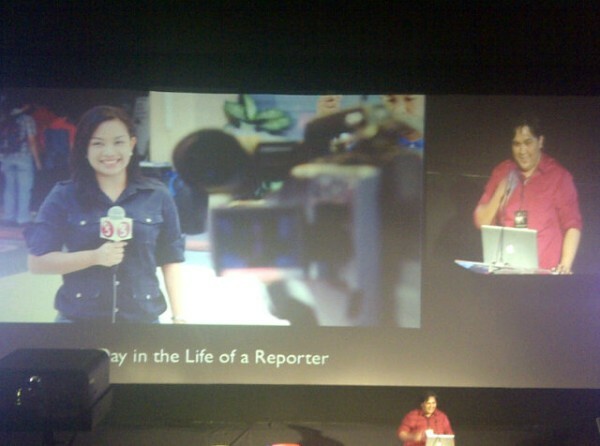 My topic, “Breaking the Barriers: Digital and TV”, is also something close to my heart since it’s what I’ve been working on at TV5 for almost 2 years now. I’ve grown to appreciate, love, and be in awe of the TV industry because of their natural expertise in creating content that can connect to the Filipino heart. This is I think the missing element in a lot of digital campaigns. This brings me to the next reason why the IMMAP Summit was special for me. I got to talk about my wife! Haha! As most of you know, my wife is a reporter. If there’s any job that will teach you the importance and value of understandable and “connectable” content, it’s being a journalist. Reporters go out everyday building stories and they end their day sharing it to the country. “Build” is the appropriate word because they have to work on an angle, connect to sources, get videos, edit the materials, create the news bit, and then sell it to the producers. After that they go home, sleep, and do it again the following day. I’m proud of my wife and I have a deep appreciation for the men and women of the news. Being given the opportunity to share that, especially in the context of my talk, was an amazing experience. 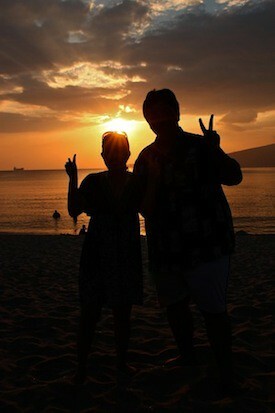 Over-all the 2012 IMMAP Summit for me was a blast! Definitely something that I’ll always remember. Thank you to the organizers for inviting me and I look forward to attending next year once again (as a delegate). My only comment though is that they should seriously consider changing venues, lol.